In just four months, Dwayne, with the help of the prison wardens, teach the inmates to get their lives on track by identifying the root of their personal issues and helping them with career training, financial literacy, skills training and changing their attitude towards life. The wardens scream at the inmates, force them to do push-ups and other physical exercises, as well as being ordered to shower and sleep at a set time to give them discipline. “We were reluctant to like the boot camp as there’s a lot of screaming in the inmates’ faces,” says Jon, but it is for the inmates’ benefit. The ones who’re open to change and stick to the programme show a marked change in attitude and their graduation affirms that they’ve made the choices themselves. The event is hosted by The Rock, who reminds the graduates to follow the lessons they’ve learnt in just four months, both on a physical and mental level. The reformed youths’ hardened criminal ways help them transform their lives and become better men. Filming the documentary required The Rock and his crew to act as flies-on-the-wall, which isn’t always easy when you’re as famous as the actor. “We are always striving for the camera to disappear and become part of the environment,” says producer Matt O’Neill. “The young men were suffering so badly whether through physical exertion or terror because a drill instructor was in their face, the camera wasn’t there. They were just trying to get through one more push-up or survive another day. We were able to live with them until they really forgot we were around,” adds the producer. 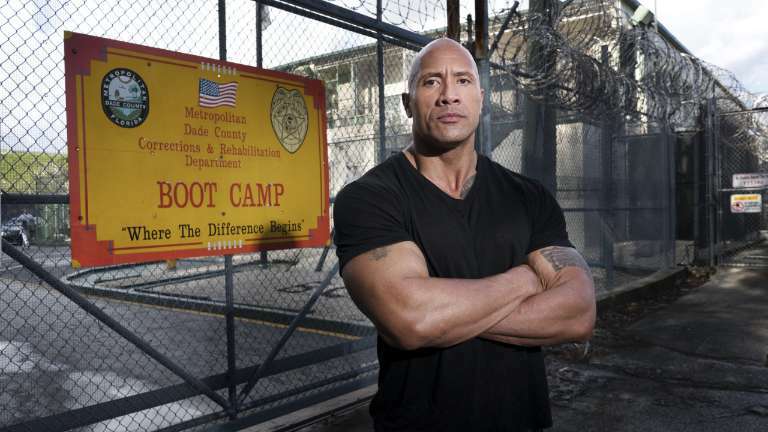 While filming, The Rock would regularly visit as “we would not have gotten a true picture of the way in which boot camp works. The kids and wardens would’ve been looking at him,” laughs Jon.